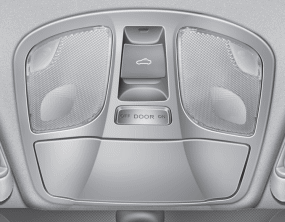 If your vehicle is equipped with a sunroof, you can slide or tilt your sunroof with the sunroof control switch located on the overhead console. Do not continue to move the sunroof control lever after the sunroof is in the fully open, closed, or tilt position. Damage to the motor or system components could occur.